This trip is not for the weak of stomach or liver. When we were not on the river we were usually eating or drinking or eating AND drinking. 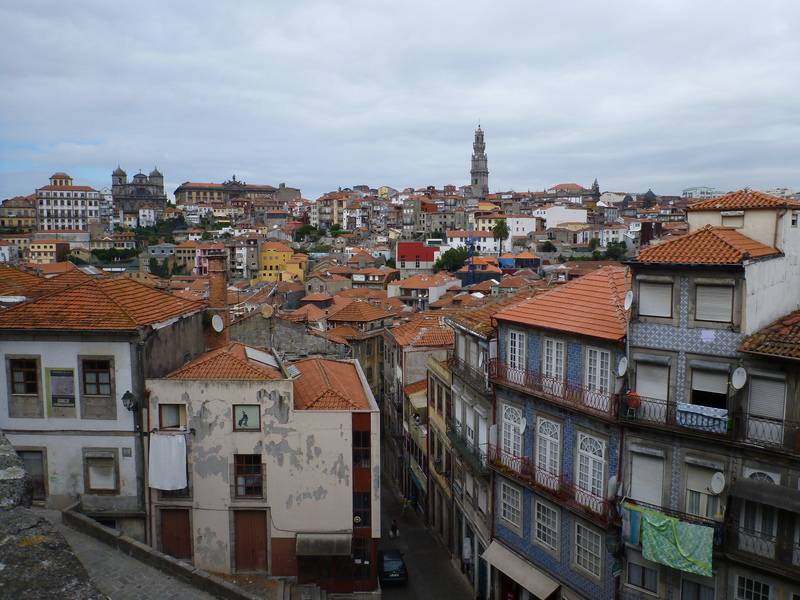 We stayed in quintas (historic vineyard estates), dined on lovingly prepared traditional dishes, learned how port is made, and sampled as many wines as our generous hosts could put before us. Small wonder that this tour is affectionately dubbed “Float and Bloat”. 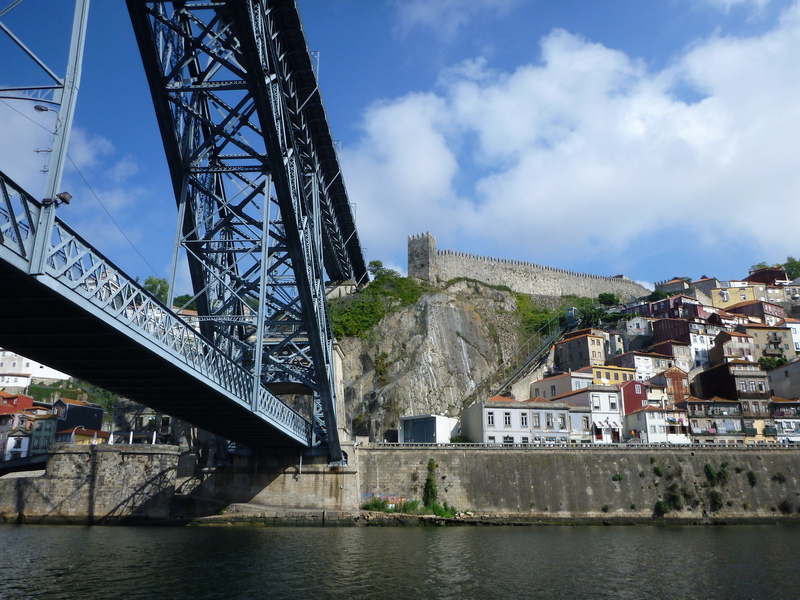 I arrived in Oporto two days before the trip was to start, partly to recover from jet lag but mainly to have a chance to visit this stately old city at the mouth of the Douro River. Armed with a map and walking shoes, I wandered freely, pursuing whatever view seemed most interesting. 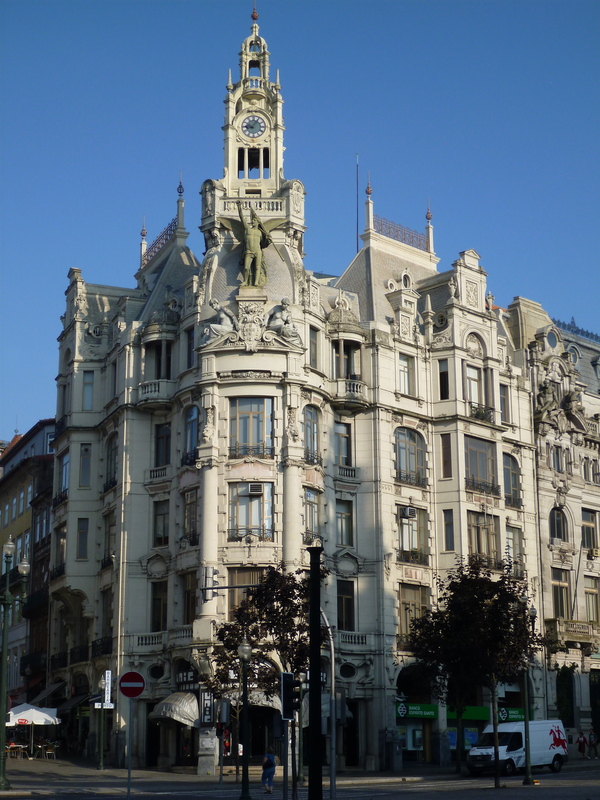 The central area of the city is very small and is easily covered on foot in a day and a half. Graceful buildings and green parks follow the narrow streets that spill down the precipitous slopes leading to the historic riverfront district. 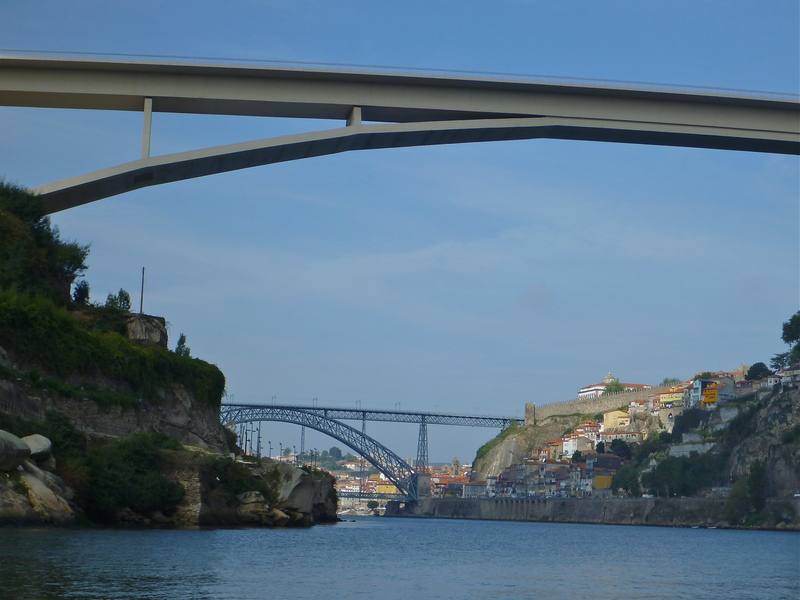 I’m not one for tour buses and the like, but ten Euros were well spent on a boat tour of six bridges across the Douro. 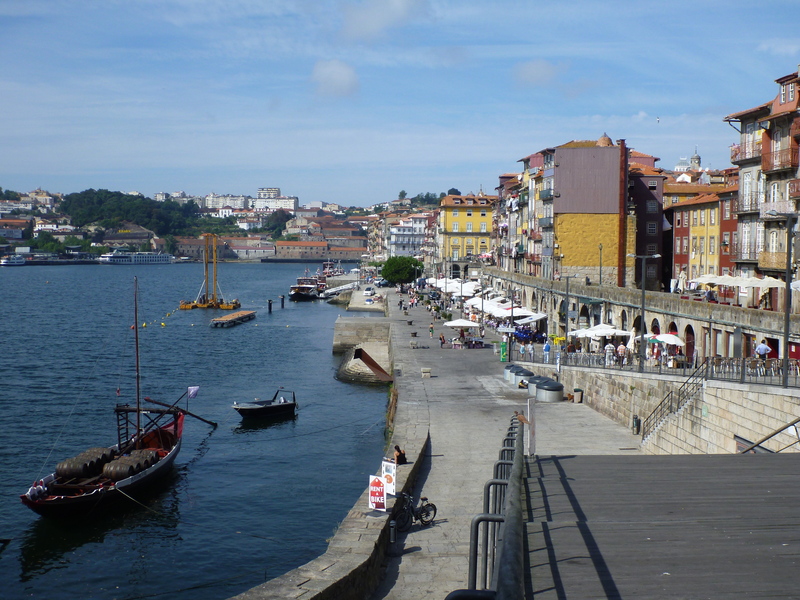 One night I also enjoyed my first taste of fine Portuguese cuisine in a restaurant recommended by my hotel (mussel soup with saffron and puff pastry – exquisite!). 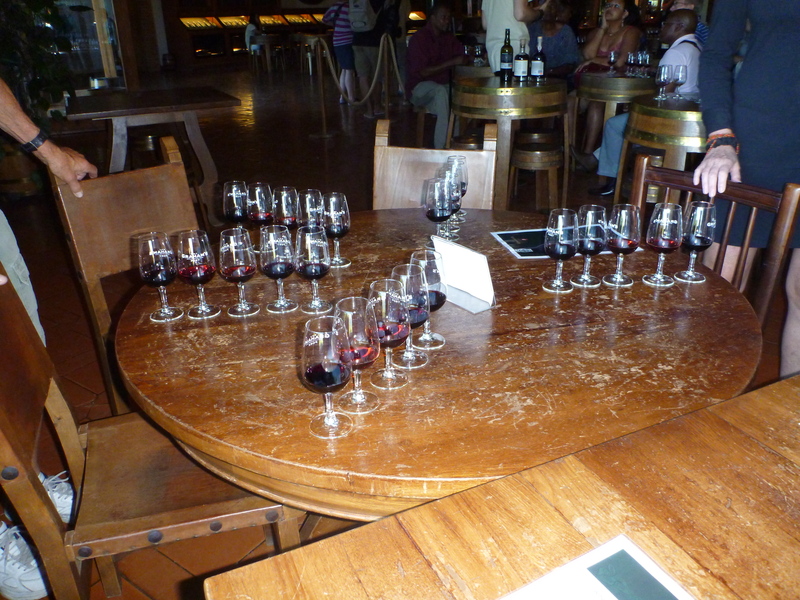 Our group met on the afternoon of September 11 and promptly got down to the business of the trip: wine. Graham’s port winery is one of many across the river, and we were treated to a tour of their facilities. The port is actually made at vineyards up river, held there for six months, then trucked to Grahams to be mixed, evaluated, aged and bottled. Having always drunk ruby port, I thought that this was basically what port was. What a surprise to learn that ruby is the lowest quality they make. 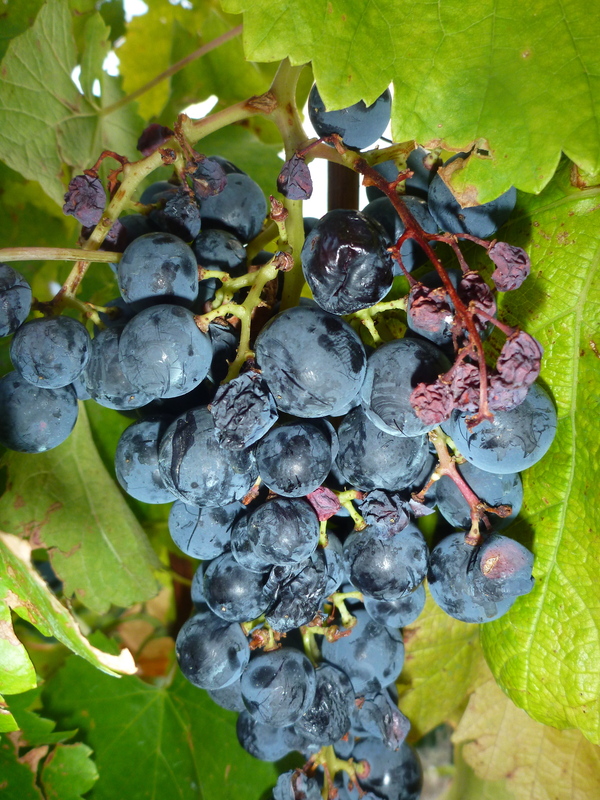 There are tawny ports that are aged for various numbers of years, and then vintage ports that come from an especially good harvest. Some of the latter are over 100 years old. Ruby, two tawnies and two vintage ports presented for tasting. After tasting five different ports and realizing the variance in quality, I was quite ready to spend whatever it took to get one of the vintage bottles, planning to serve it on special occasions to special friends. Alas! 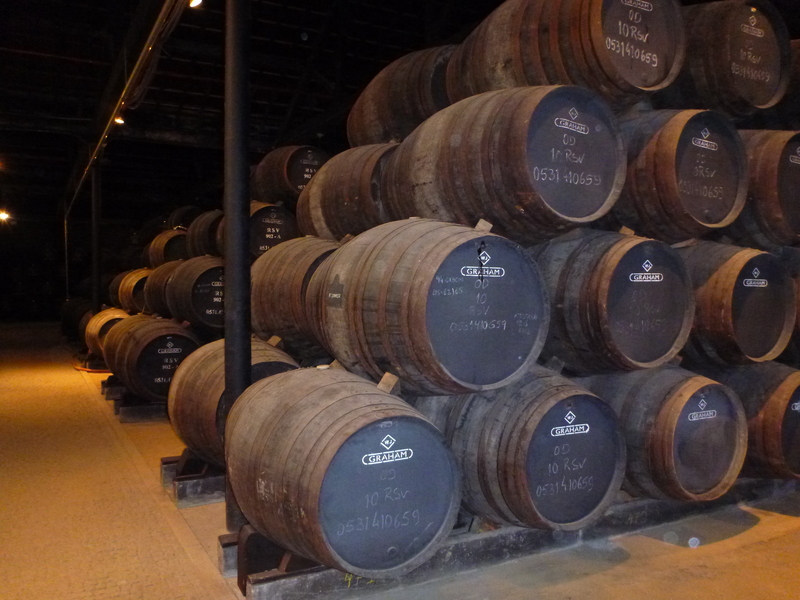 We were told that the vintage ports must be consumed within a day of opening. There is, I decided, a limit to friendship. Already stoked with five glasses of port at Graham’s and more at a group meeting in our hotel, we somehow navigated to a waterfront restaurant for more wine and a dinner which I remember was excellent; unfortunately the specifics have been lost in the sea of gastronomic indulgence that followed over the next few days. Yes, this was a kayaking trip, and I will actually get to the kayaking in the next post. 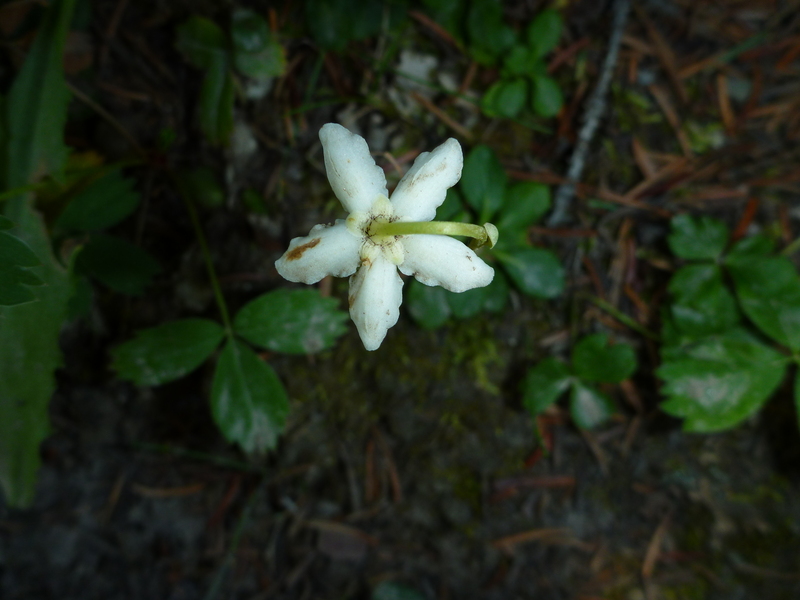 I have found just about everything I sought in the mountains this month; amid the breathtaking panoramas, green vales, flowering meadows, quiet lakes and starlit nights I have nourished my soul with beauty and regained the perspective I lose in the city. I don’t know much about geology (it doesn’t yield easily to amateur study), but the mountains, thrust up millions of years ago and worn down by erosion and glaciers, tell me how short my life really is. The age of the rock making up the mountains is even more mind boggling. Now I need reassurance, some connection to friendlier processes than geologic time. 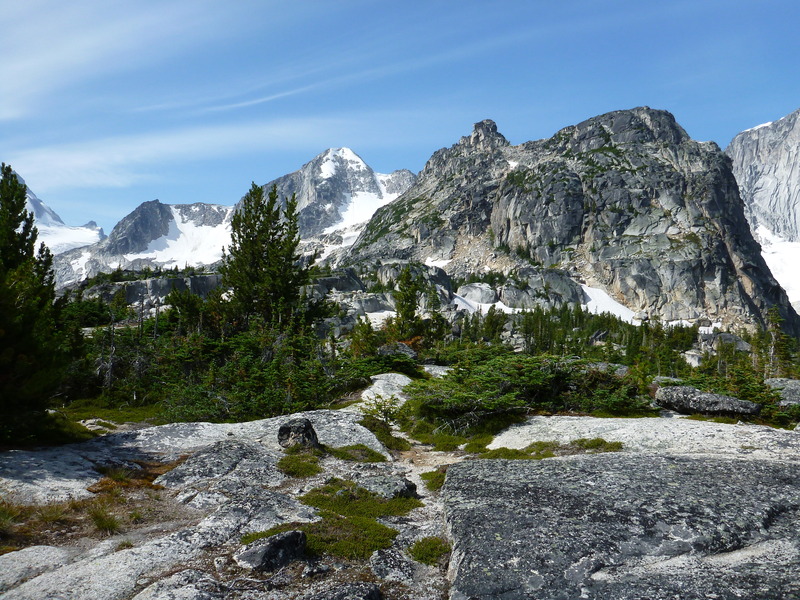 There are scenic ways to get to Shadow Lake, but they involve significant elevation gain and loss. Then there is Red Earth Creek, an easy and utterly boring route that used to be a fire road. Not wishing to spend ten hours on the trail at my pace, I opt for the road. 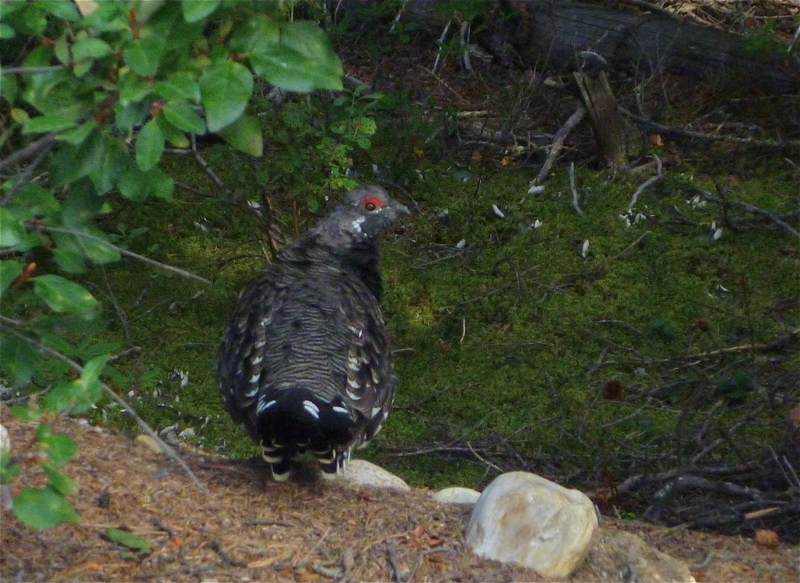 During five hours of hiking the most interesting thing I see is a spruce grouse, a bird so stupid you almost have to kick it to get it to move. 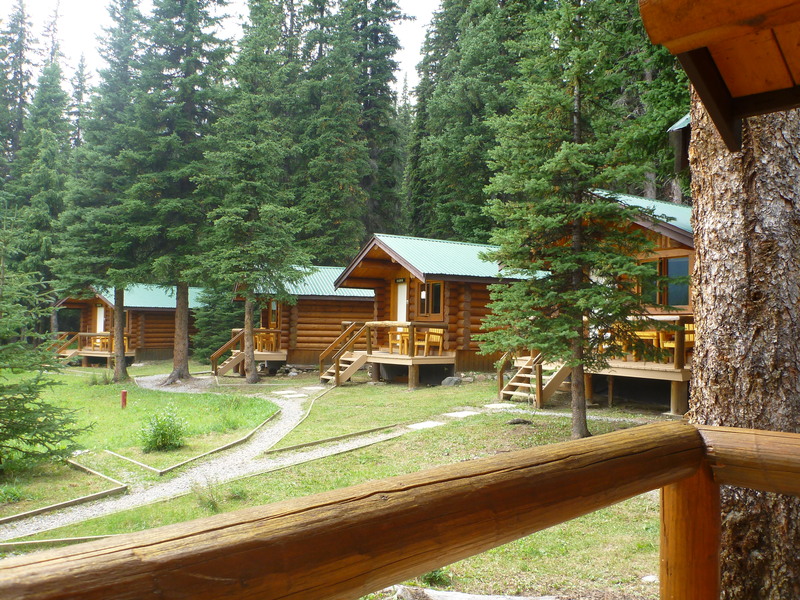 Shadow Lake Lodge is a set of cabins beside a large meadow, about a kilometre from the lake. 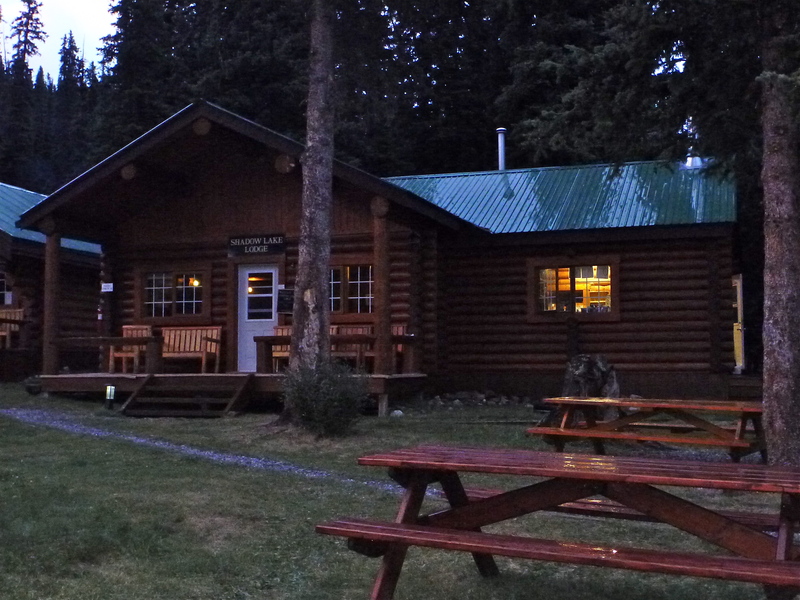 It’s comfortable, modern, serves the excellent food one expects in a backcountry lodge and has the best beds I have ever slept in. 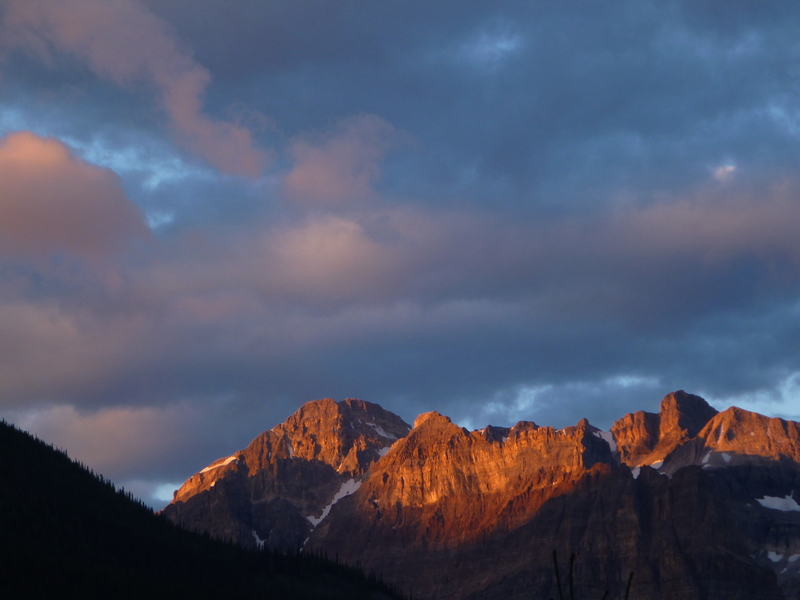 Morning sun turns the mountains to burnished gold. 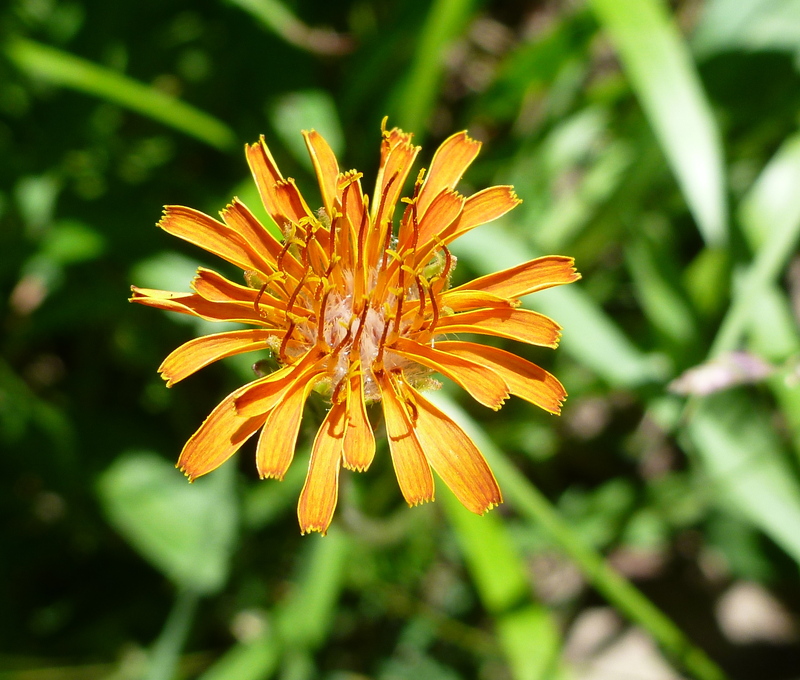 Gradually the meadow comes to life; it’s being taken over by orange hawkweed. In the full light of day Mt Ball presides over all. 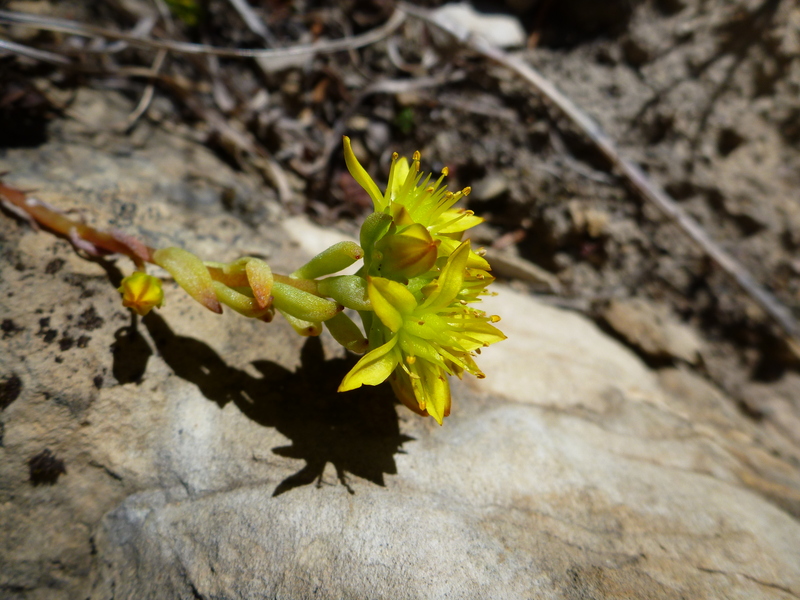 I decide to spend the day at Gibbon Pass, a wonderland of larches and wildflowers which is reached by a steep ascent of 500 metres from the lodge. Lyell’s larches, found only near the tree line, are my favourite trees. They are deciduous conifers with silky green needles that turn a brilliant gold before they are shed in the fall. Unlike firs and spruce, larches have soft, pliable branches; if you’re going to ski into a tree, make sure it’s a larch. 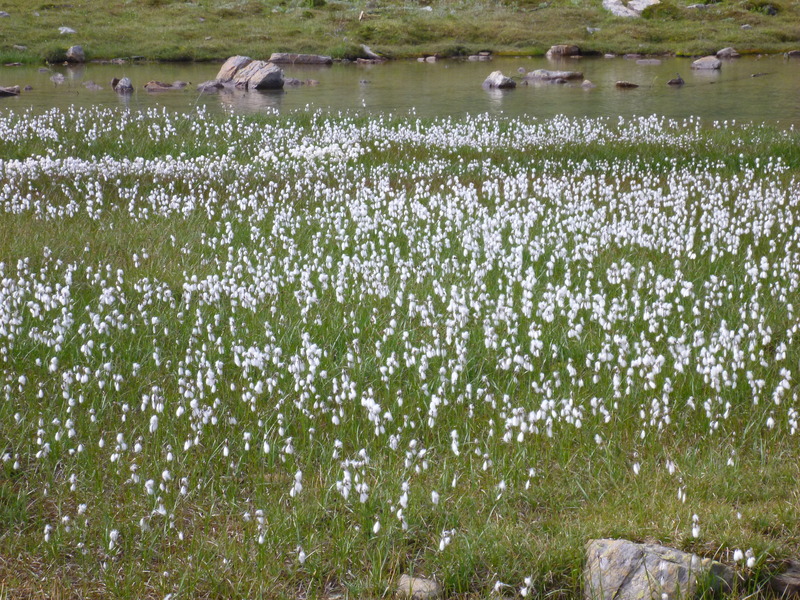 Near the summit cairn I find a delightful pond that has been invaded by cotton grass. 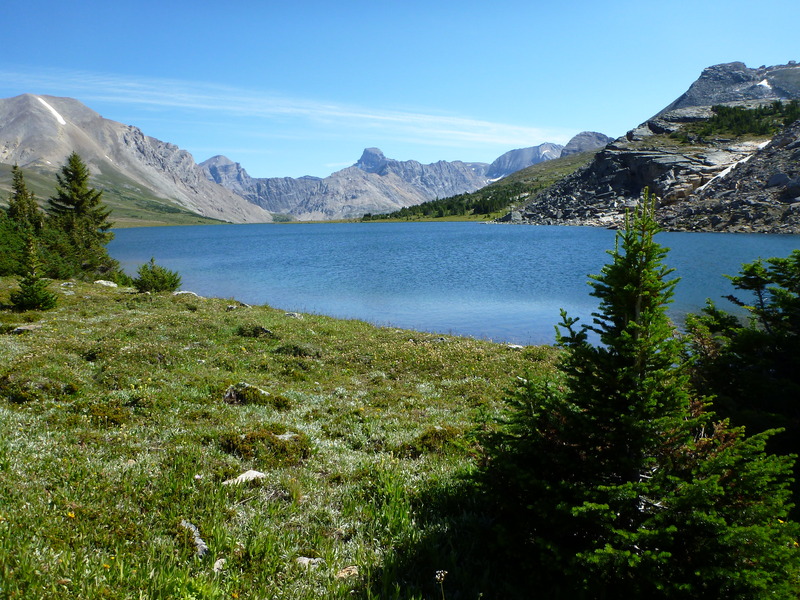 I could continue wandering; one can ascend Copper Mountain from the pass or visit one of the Twin Lakes, but I really did not come to Shadow Lake for the scenery. I’m happy this day to lounge in the sun and reflect on all that I have seen and done in the preceding weeks. On my second day I head for the lake but spend most of my time on the trail. 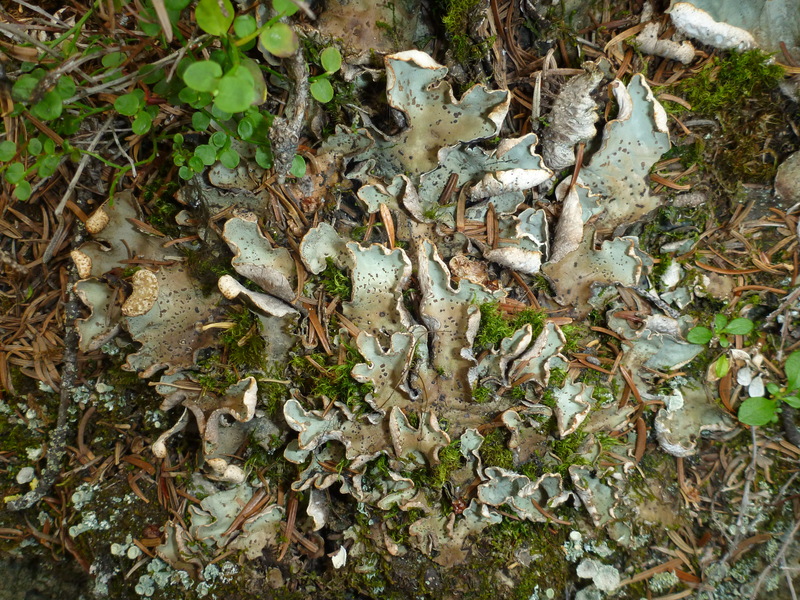 There is no better place to observe the endless cycle of life and death than on the forest floor. 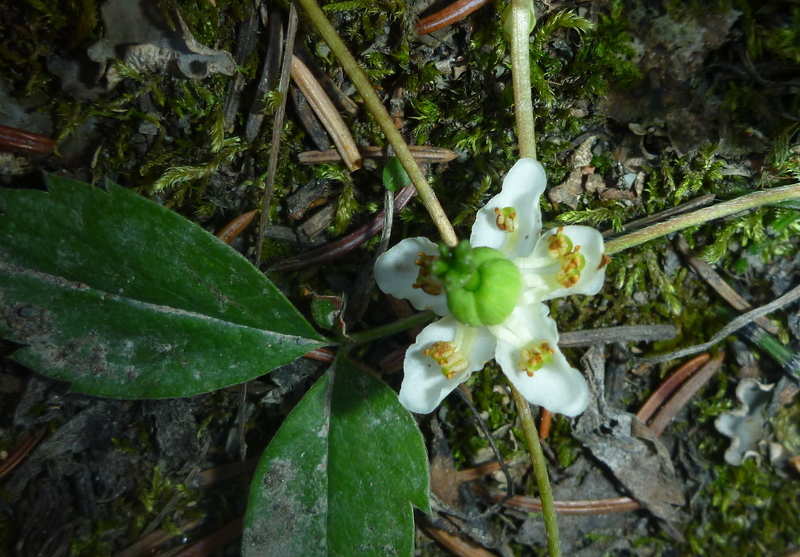 Plants take root, grow, die, decay and give life to insects, birds, animals and other plants all in a confined space and in a way that doesn’t offend the senses. The same cycle plays out when a hawk kills a pica to feed its young, but the process is messy, hard to observe, and I tend to sympathize with the pica. I don’t have that problem with a dead tree. 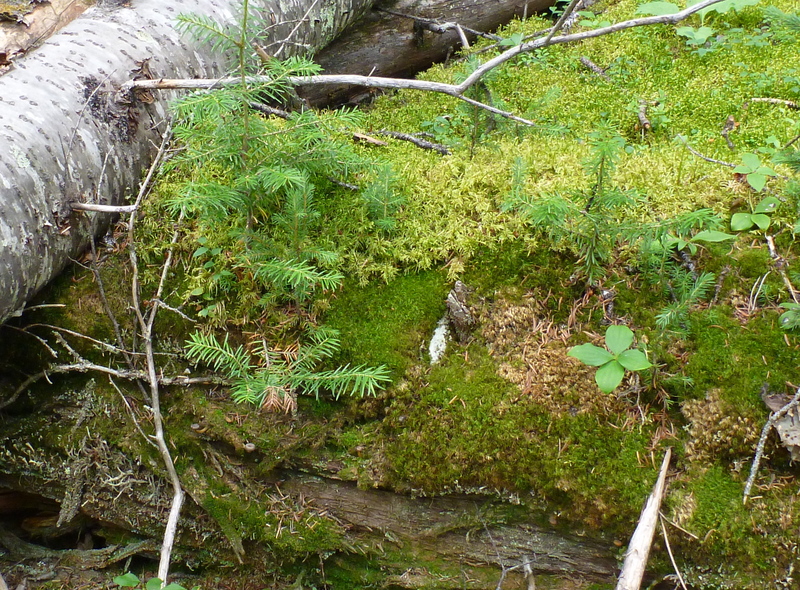 Finally, a fallen tree becomes a nurse log, where baby sub-alpine fir trees and dwarf dogwood take root, and lichens, mosses, fungi and countless insects thrive. 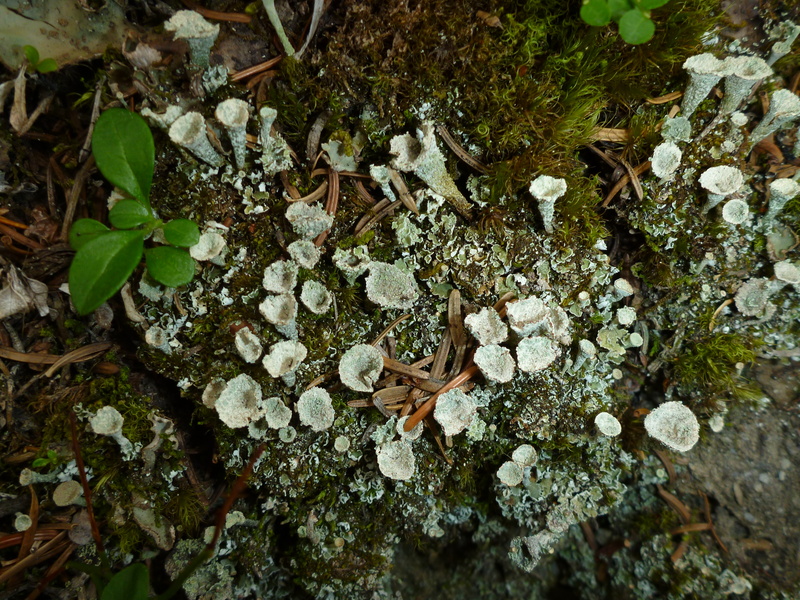 Here on the forest floor I see how lifeforms co-opt their atoms, organizing them into a living system for a while, only to give them back to nourish new life. It’s a cycle that requires only years or centuries to complete, rather than geologic ages. I know that I am part of a similar process and I am at peace with that. I’m ready to return to the city. Evening at Shadow Lake means wine, good food and warm light. The forecast for tomorrow is snow and a cold, wet hike back to the trailhead. But tonight there is only the moon and memories of a perfect month. There’s no getting around it: I’ll have to work to reach my next lodge. 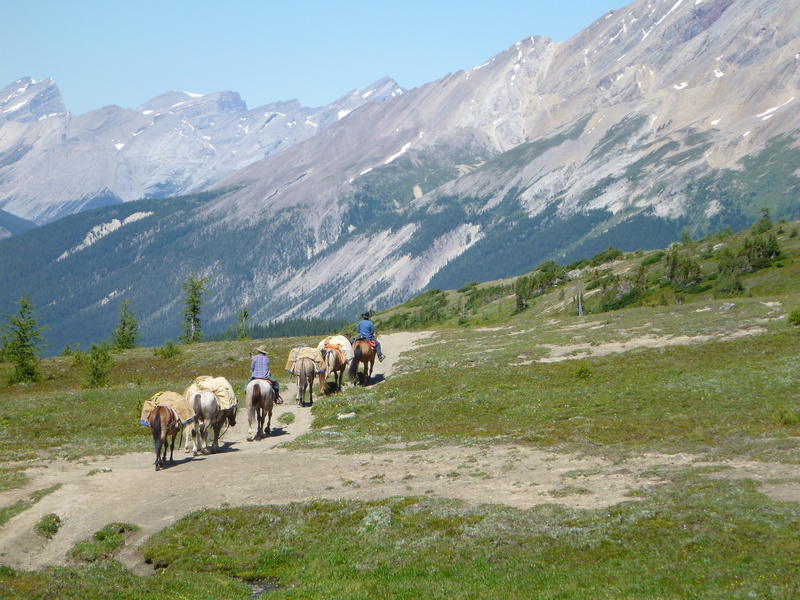 Unless you are British royalty (Will and Kate flew in by chopper) or want to hire a horse, the only access to Skoki Lodge is on foot. 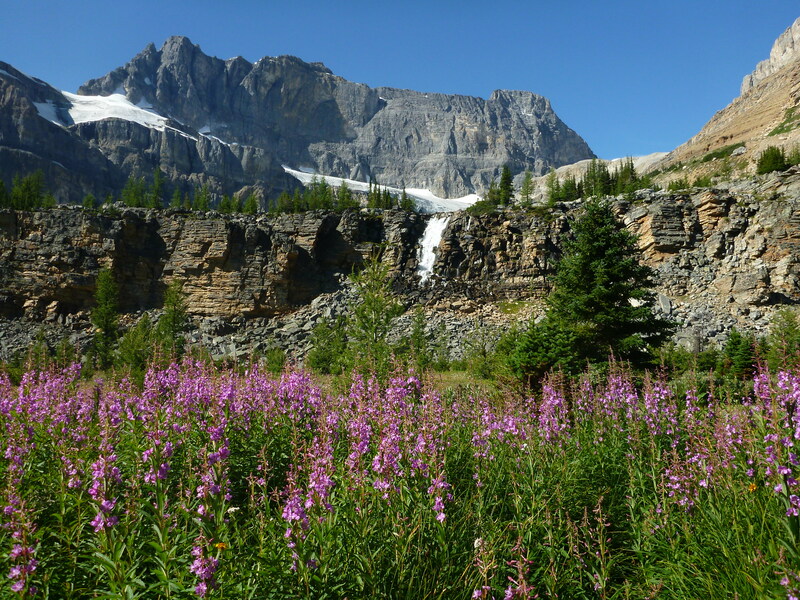 Fortunately it is one of the most beautiful hikes in the Rockies. 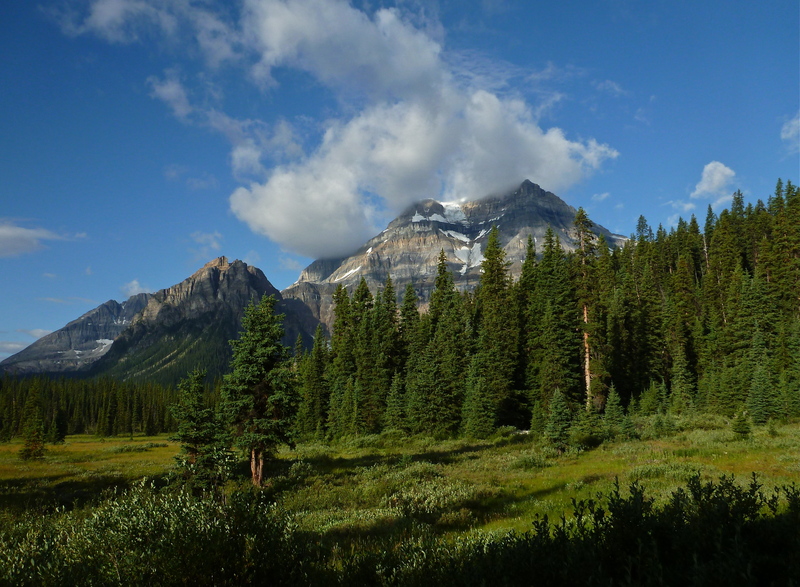 From the Lake Louise ski area the trail winds 11 km through forest and meadows, over two passes and beside a large alpine lake. 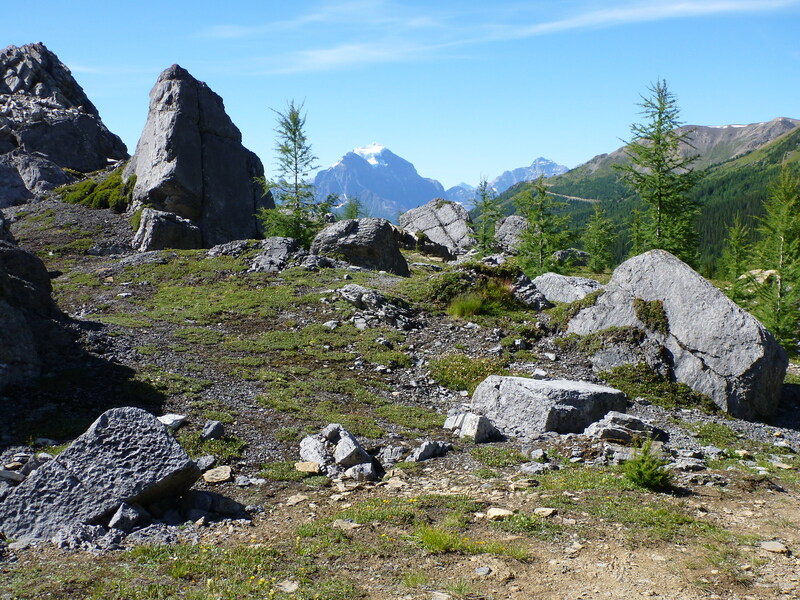 The first part of the trail is gently rolling, affording fine views of Mt Temple, the highest peak in the region. 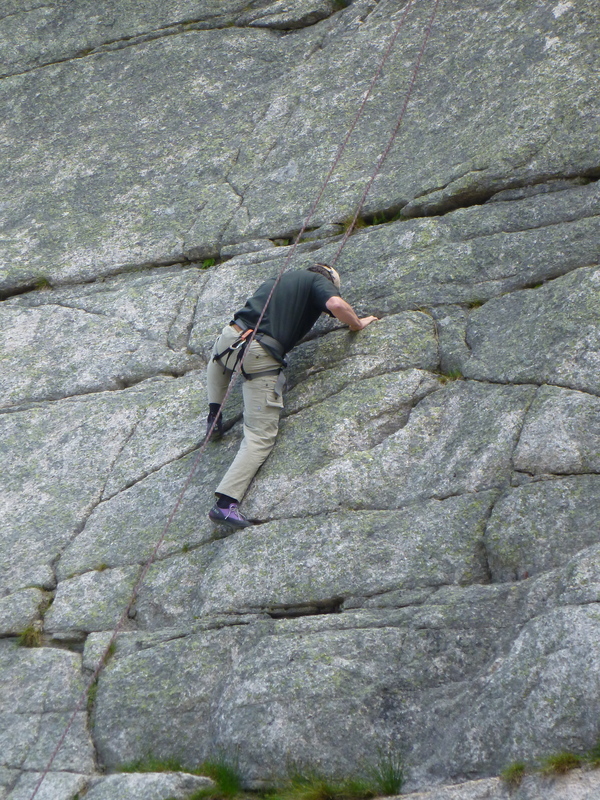 An easy climb through an impressive boulder field brings one to Boulder Pass. 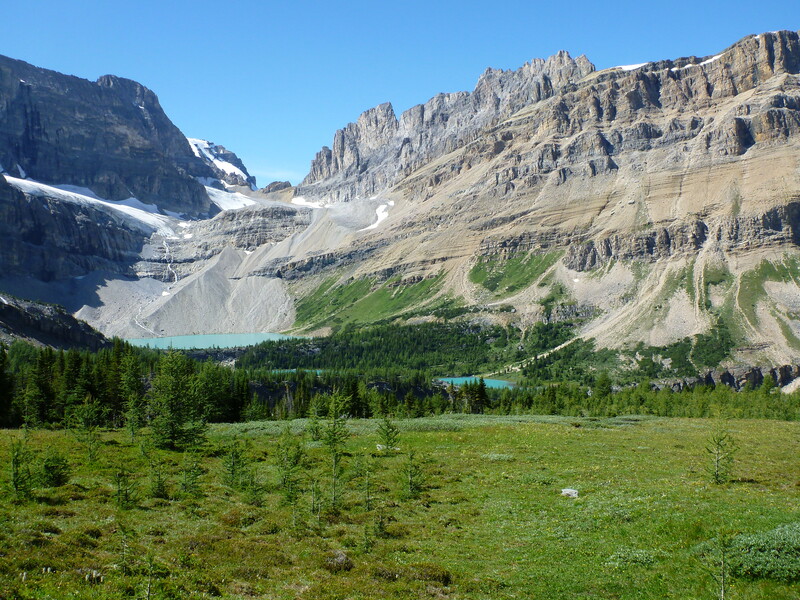 Boulder Pass and Mt Temple, with a Lake Louise ski trail in right background. 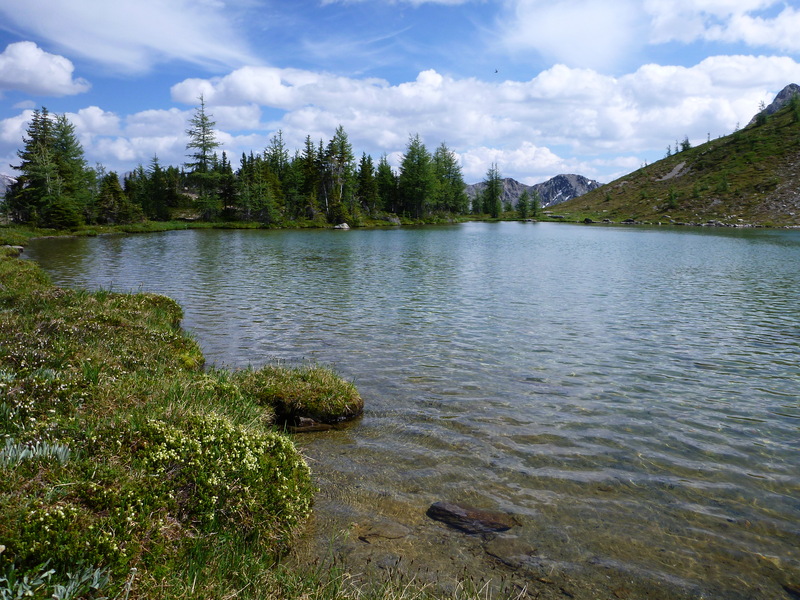 Instead of descending on the other side of the pass, you find yourself at Ptarmigan Lake. This is not the landscape of the Purcells (see previous posts). 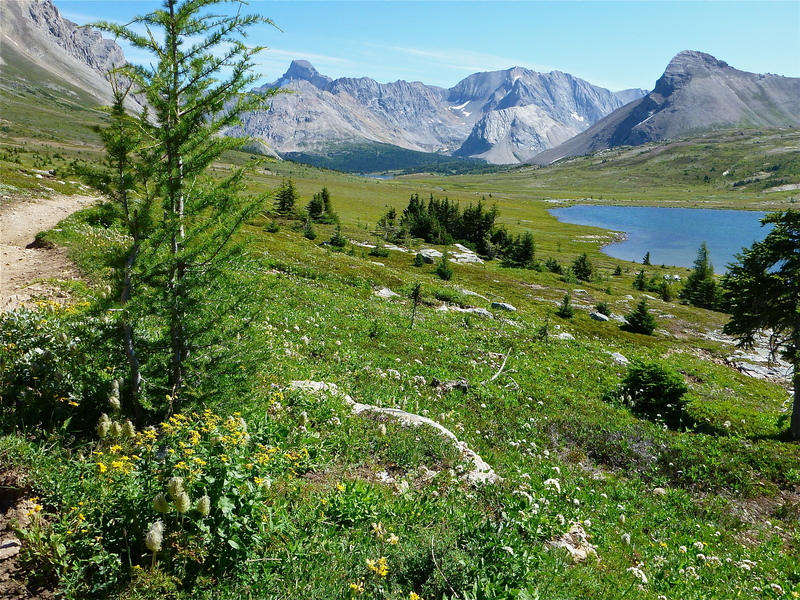 The Canadian Rockies are not painted in large swaths; they don’t overwhelm even though they are higher than the ranges to the west. Rather they invite you to embrace them, to relax, to become one with them. 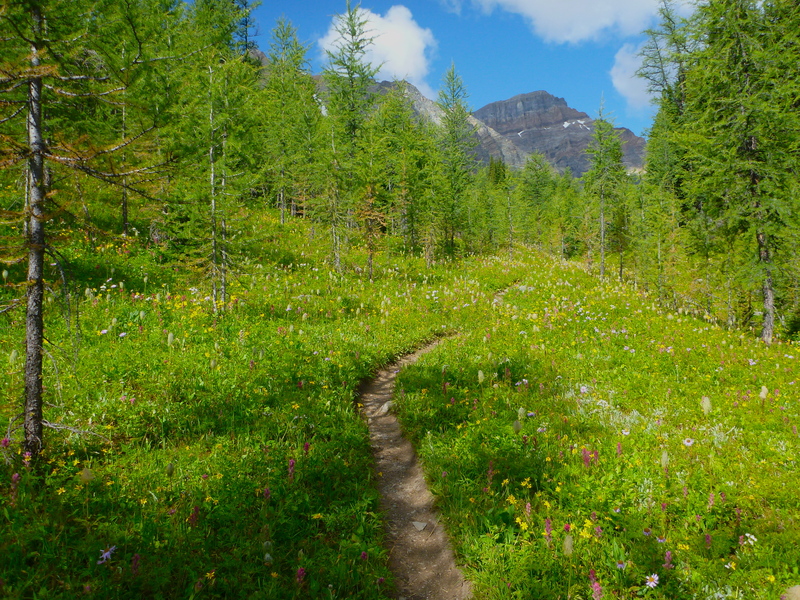 The trail skirts the lake, passing larch trees and stands of ragwort, valerian, arnica and anemone seed heads. 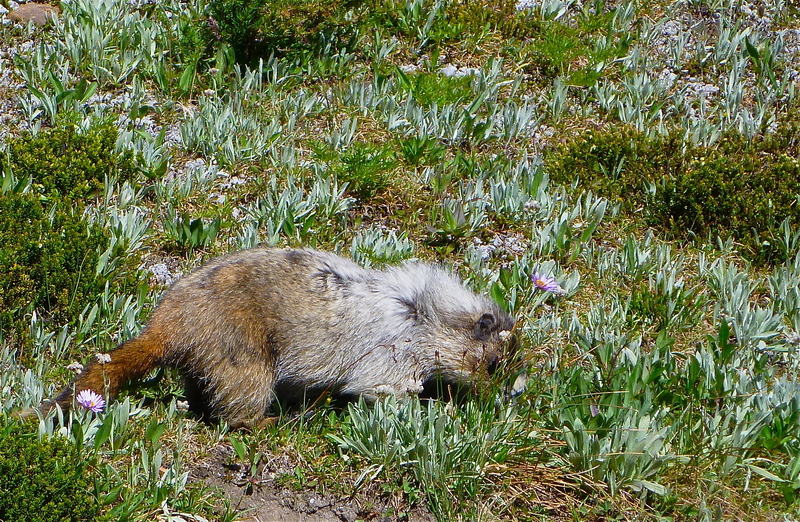 I’ve seen many ptarmigan here, but today I encounter only this hoary marmot, grazing peacefully, not at all alarmed by my presence. The next section requires some effort as the trail climbs steeply 134 m to Deception Pass. 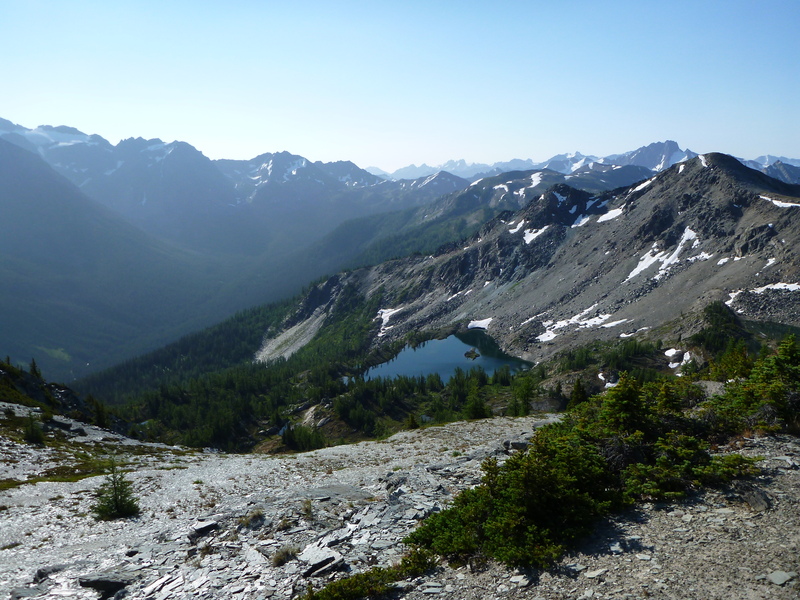 When approached from Ptarmigan Lake there’s no deception in Deception Pass, but from the other side you keep thinking you have reached the top only to find another rise ahead. If the wind is not too violent, this is a good place to pause and enjoy the view. 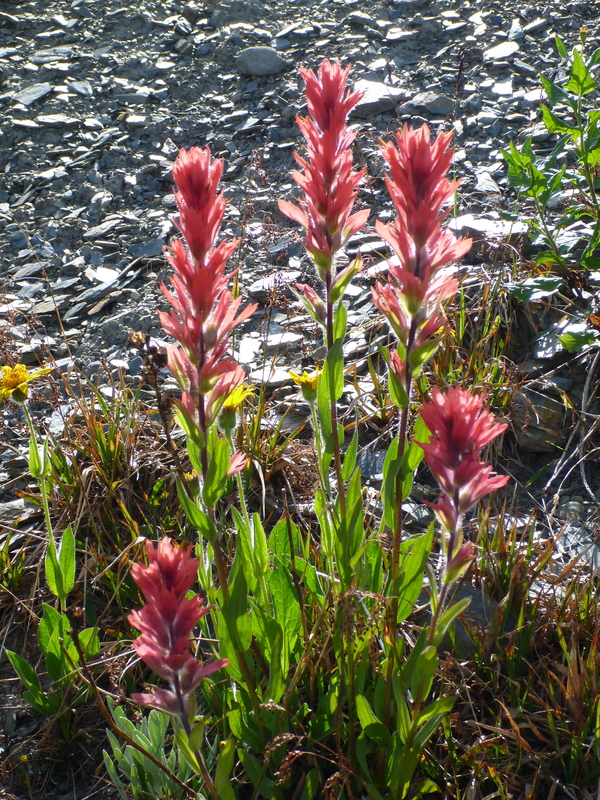 The pass seems barren, yet somehow a few flowers thrive. 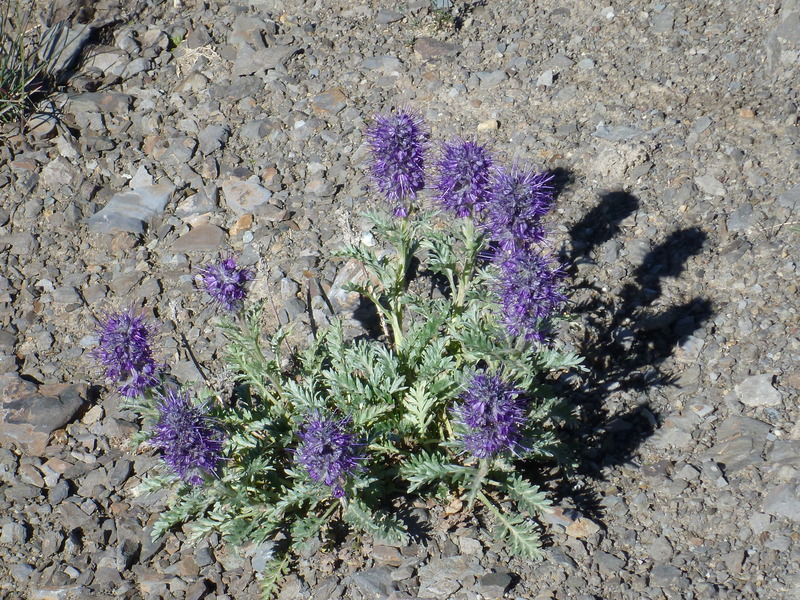 I have seldom seen such beautiful scorpion weed. 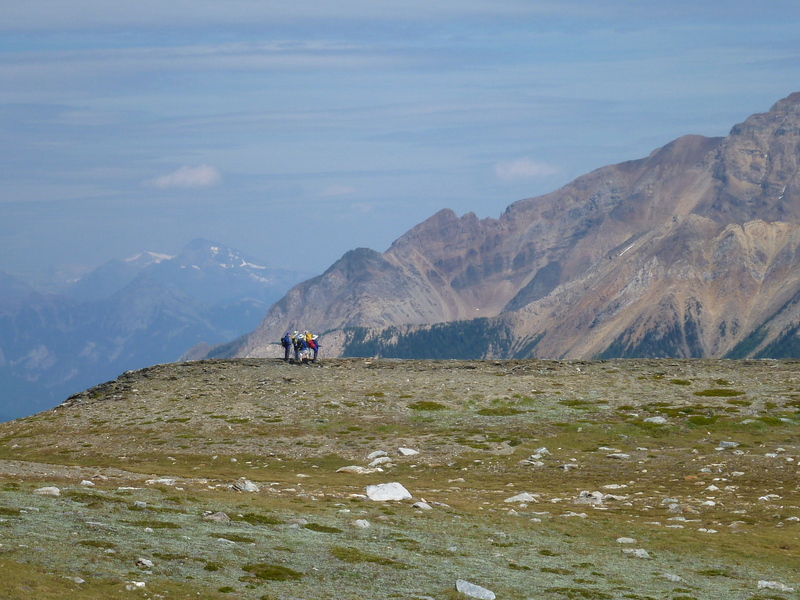 As I turn to start down toward Skoki, I hear the crunch of hooves on the path behind and step aside to let the horses pass. 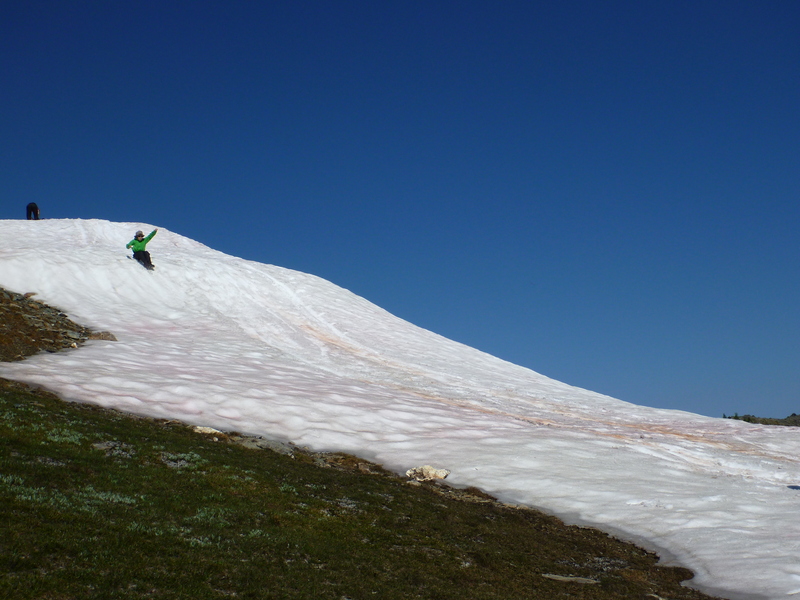 In winter the lodge is supplied by snowmobile, in summer by horses and in early season when snow still clogs the high country, by helicopter. The alpine terrain of the pass soon yields to a sub-alpine wonderland, very different from the landscape I have just left. Trees, paternoster lakes and lush growth await. 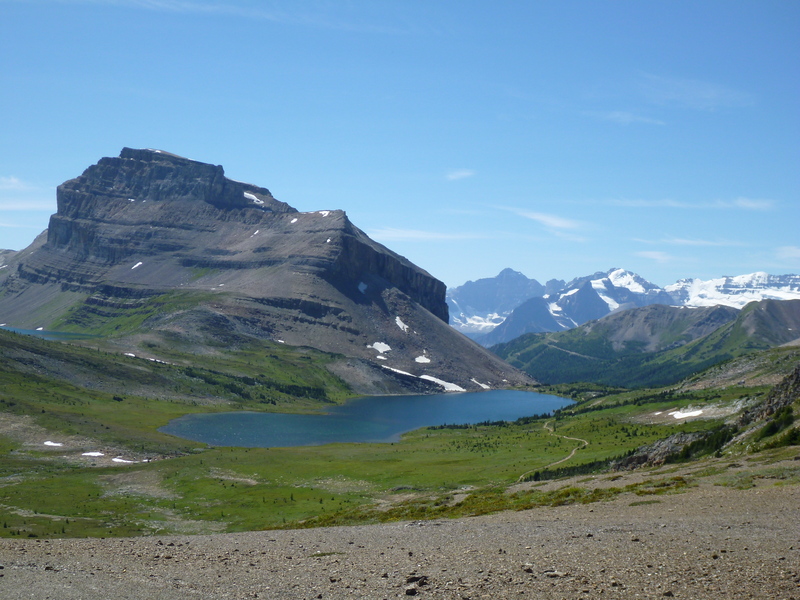 The Skoki Lakes, each one feeding the one below. 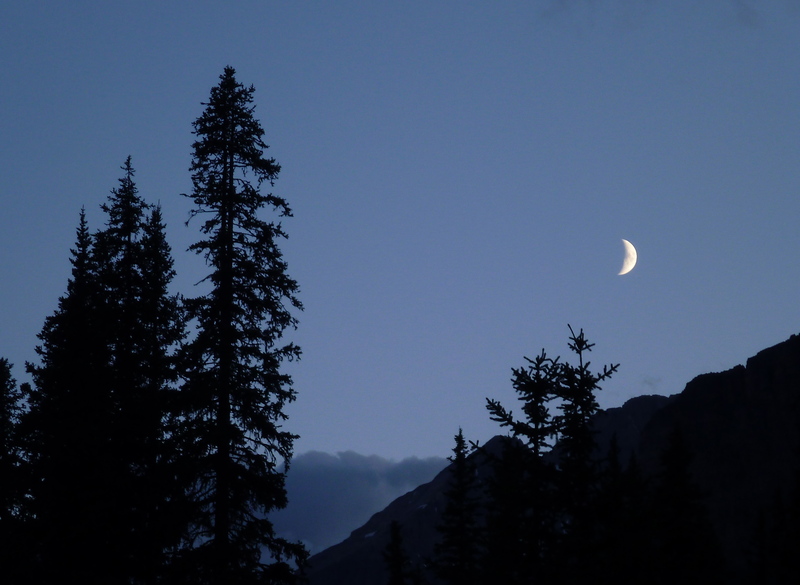 After a steady descent I arrive at the lodge, nestled among conifers, deep in the valley. 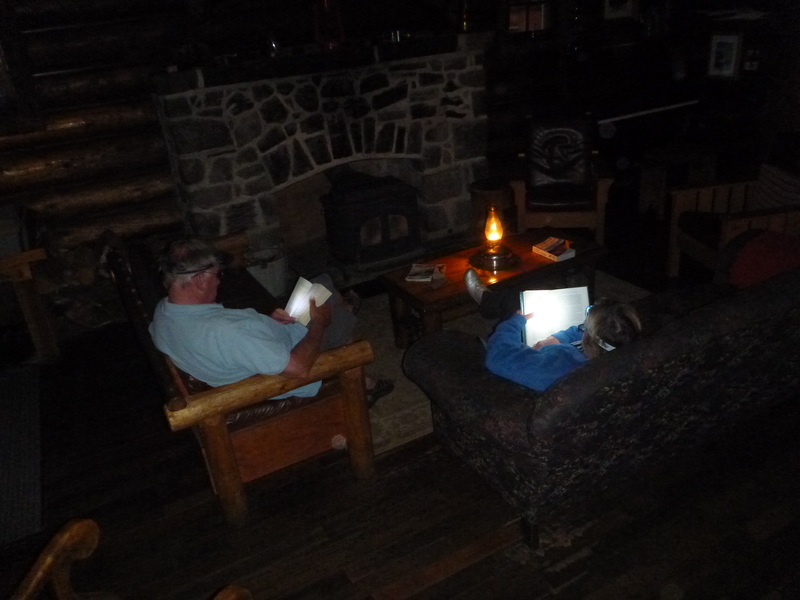 In terms of comfort, Skoki is about as far as you can get from the luxury of Canadian Mountain Holidays. 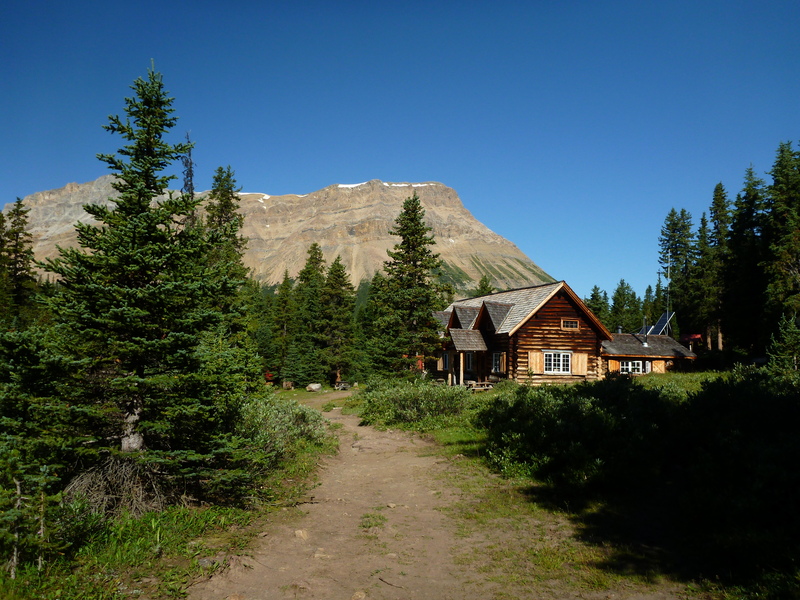 With no running water, almost no electricity, tiny rooms with small windows that let in very little light and an upstairs corridor that loudly proclaims the exit of every person seeking the outhouse during the night, Skoki is not about amenities (the only accommodations lower on the amenities scale are Alpine Club of Canada huts and backpacking tents). 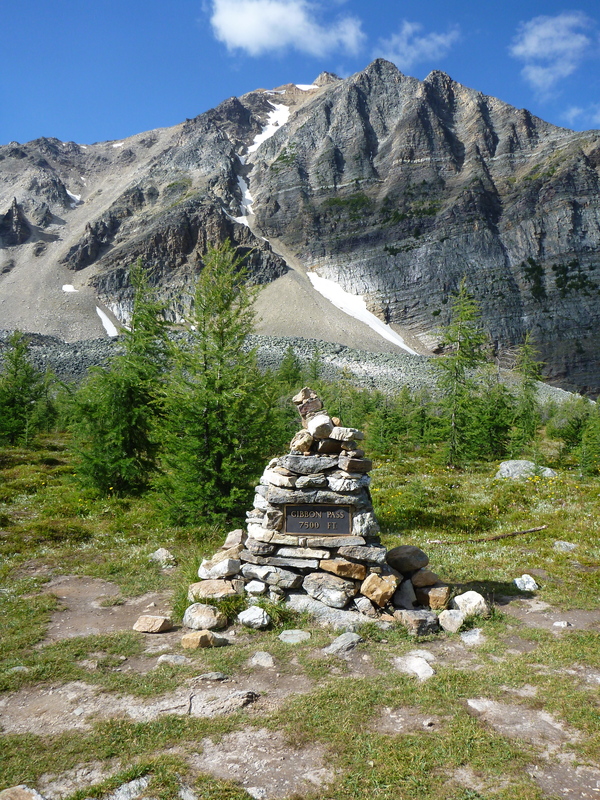 Skoki is about history and location. Built in the 1930s as a destination for skiers disembarking at the Lake Louise train station, it is part of the very fabric of Banff National Park. Its logs were hewn in the valley and its walls have heard every tale that mountain men and women could tell of storms, avalanches, wildlife, tragedy and heroic deeds. Because it is a national historic monument, permission for upgrades is given rarely and grudgingly. 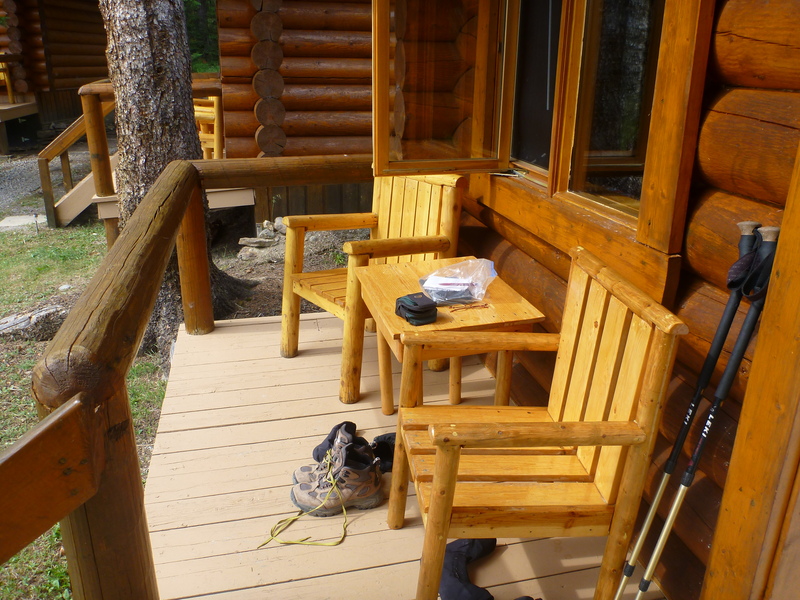 What the lodge lacks in facilities it more than makes up for with excellent, friendly staff, fine cooking and great hiking. 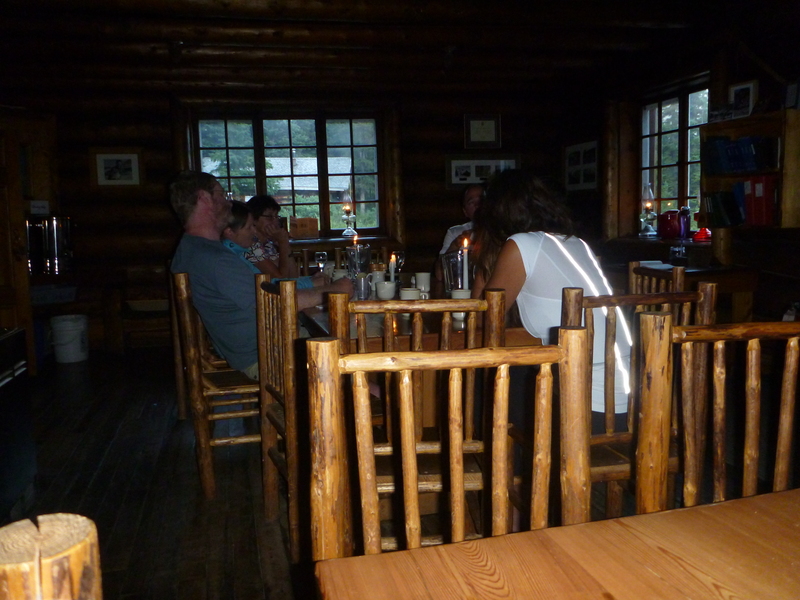 Dining by candlelight and oil lamps one can almost forget that the modern world exists. 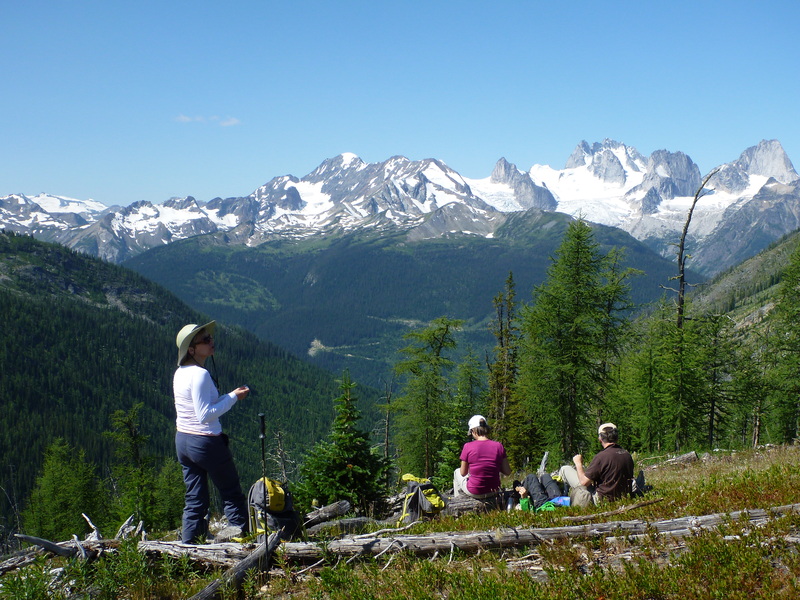 On previous backpacking trips to the valley I have done all of the longer hikes in the area. This time I decide to take it easy and enjoy the flowers. 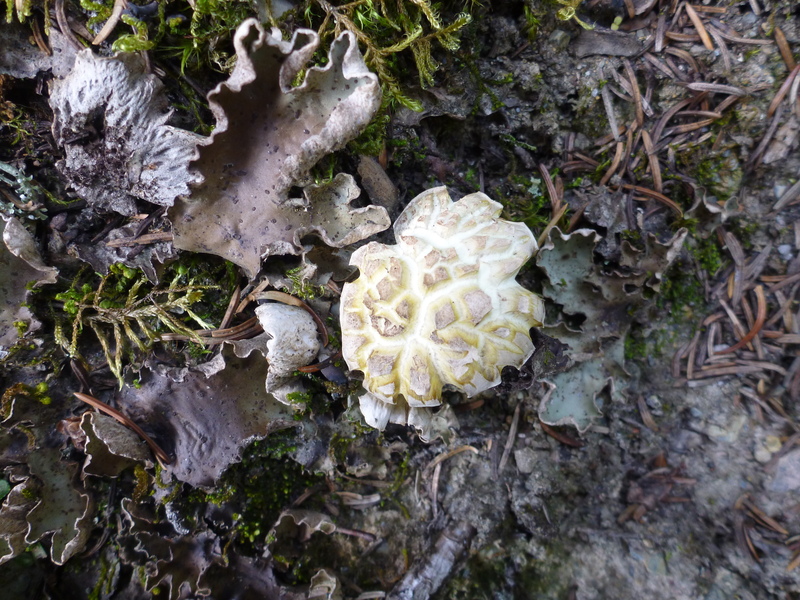 I want to seek out some that grow not in vast stands but individually, often hiding from their pushy neighbours. Because there is a juvenile grizzly hanging about the lodge, too busy eating to pay attention to humans, I borrow a bear banger from the staff and exercise caution. 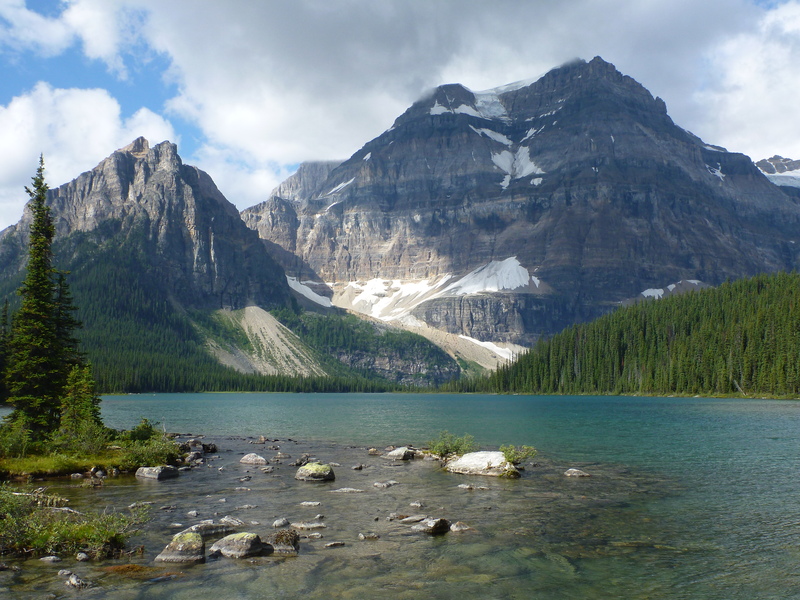 After two relaxing days I retrace my steps to Lake Louise. 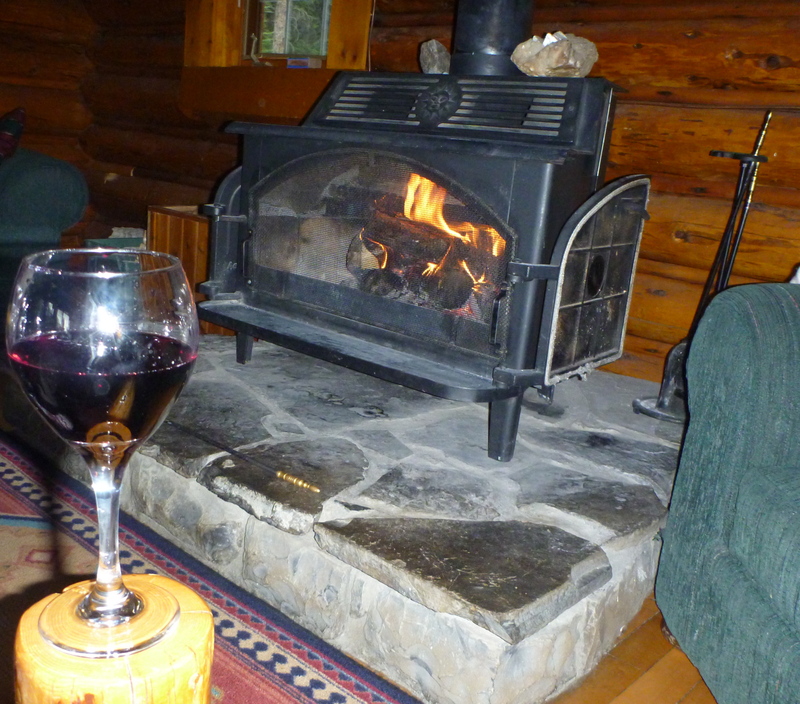 It’s hard to believe that my month in the mountains is almost over, but there is still one more lodge to visit. 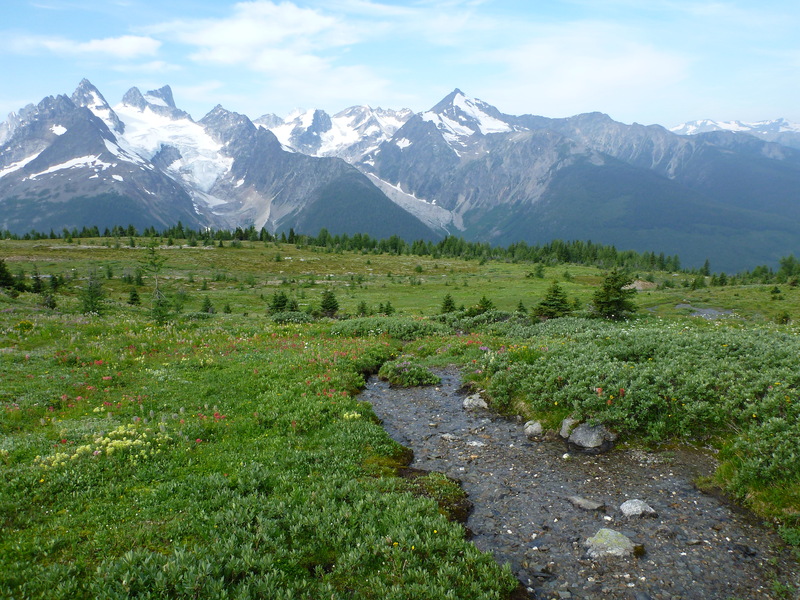 Technically the Bugaboos are only a small part of the Purcell Mountains (see previous post). 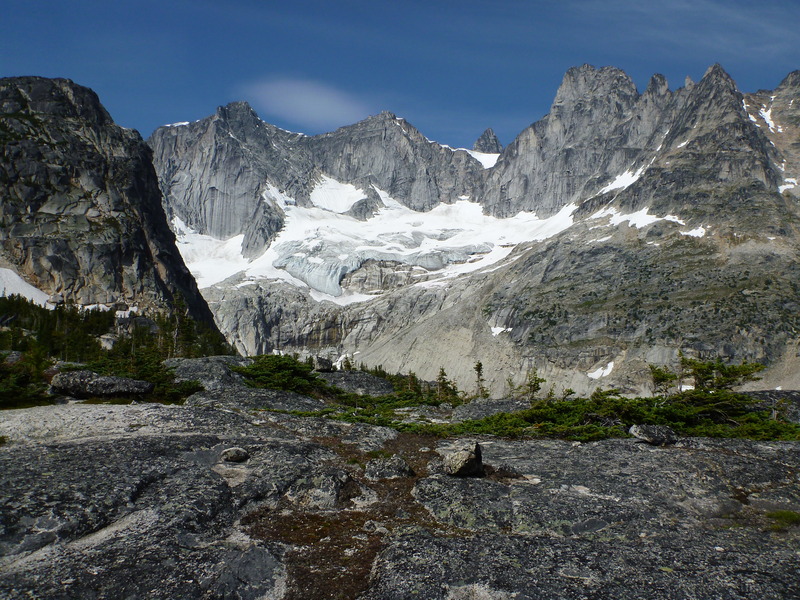 These granite intrusions into an otherwise sedimentary range are so striking, however, thrusting through massive glaciers, the towers standing in magnificent isolation, that they fully merit their own designation. World famous among rock climbers, the area has also become a hub for heli-skiing, thanks to Canadian Mountain Holidays and their Bugaboo Lodge in the valley. 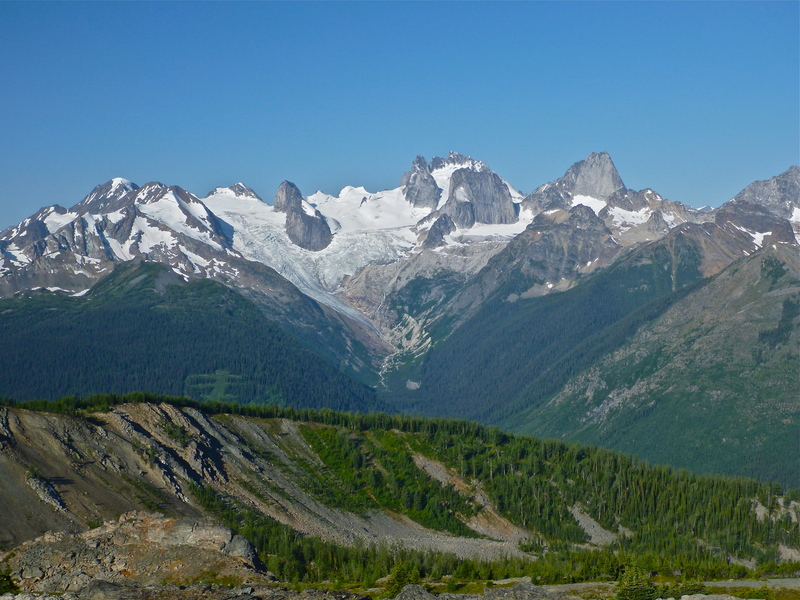 Today, just about any area reachable by helicopter from the lodge borrows the name Bugaboos. 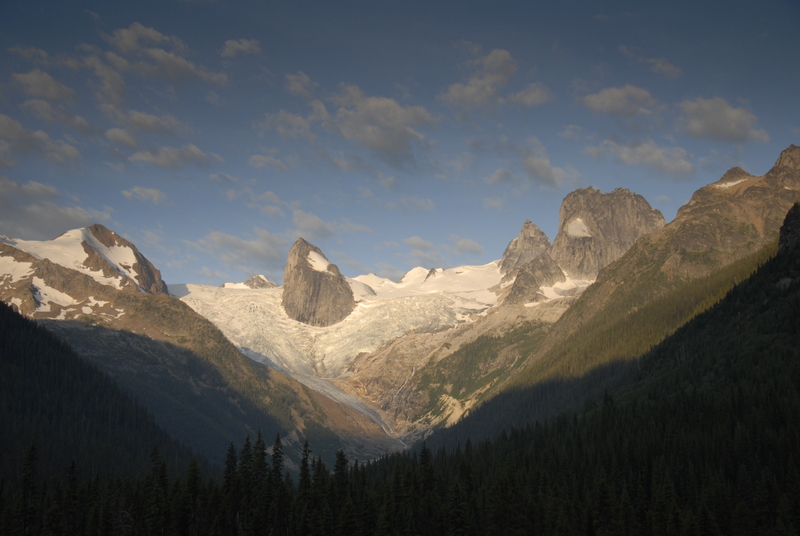 One word, uttered repeatedly by everyone in my group, sums up the Bugaboos: Wow! It was the first thing we said on exiting the helicopter, and our vocabulary didn’t improve as the day progressed. Language just can’t cope with the scenery. The sheer scale of these mountains is overwhelming. I don’t remember what we did on any given day. 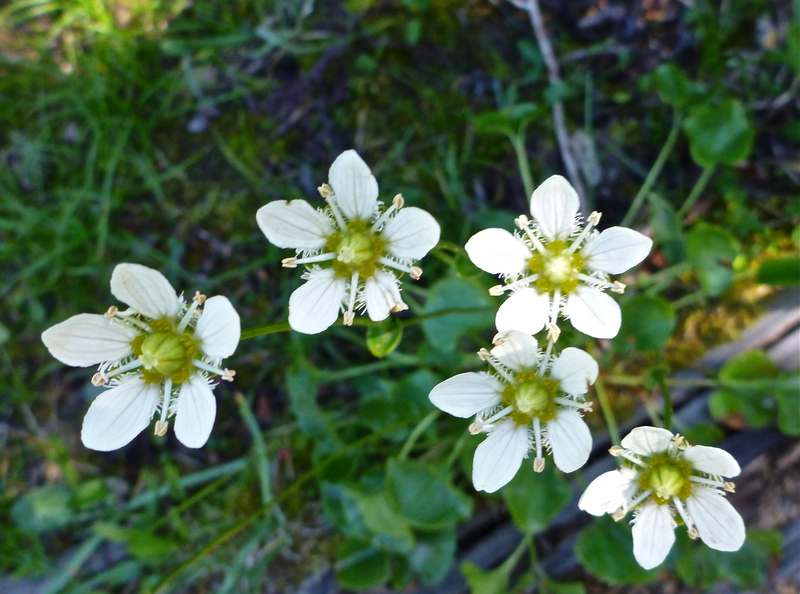 I know we hiked up moraines, walked on ridges and through meadows, played in the snow, found hidden lakes and waterfalls, marvelled at wildflowers. A benevolent Nature ensured that mountain storms never troubled the blue skies. From on high we felt our eyes drawn to endless rows of distant peaks even as beauty closer at hand vied for our attention. 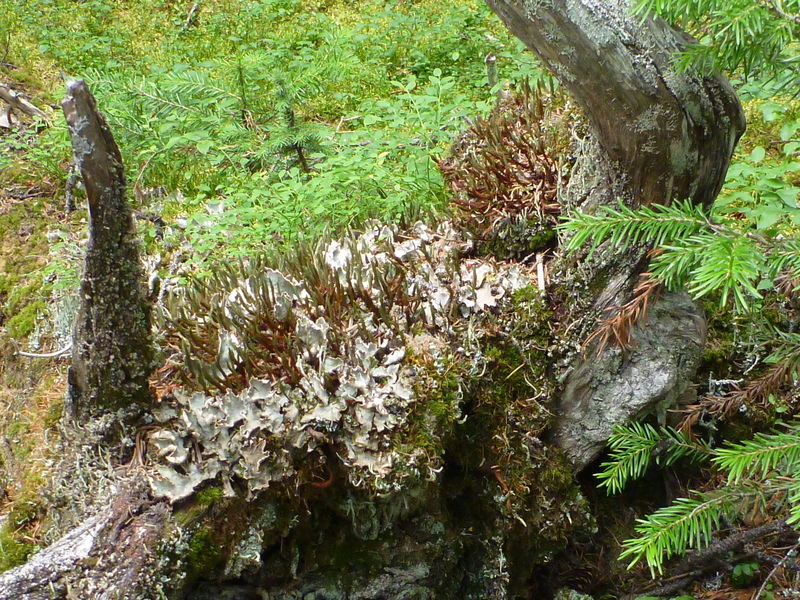 The grace and vibrancy of alpine trees belies their desperate struggle for existence in this harsh land. Not all terrain is so rugged. 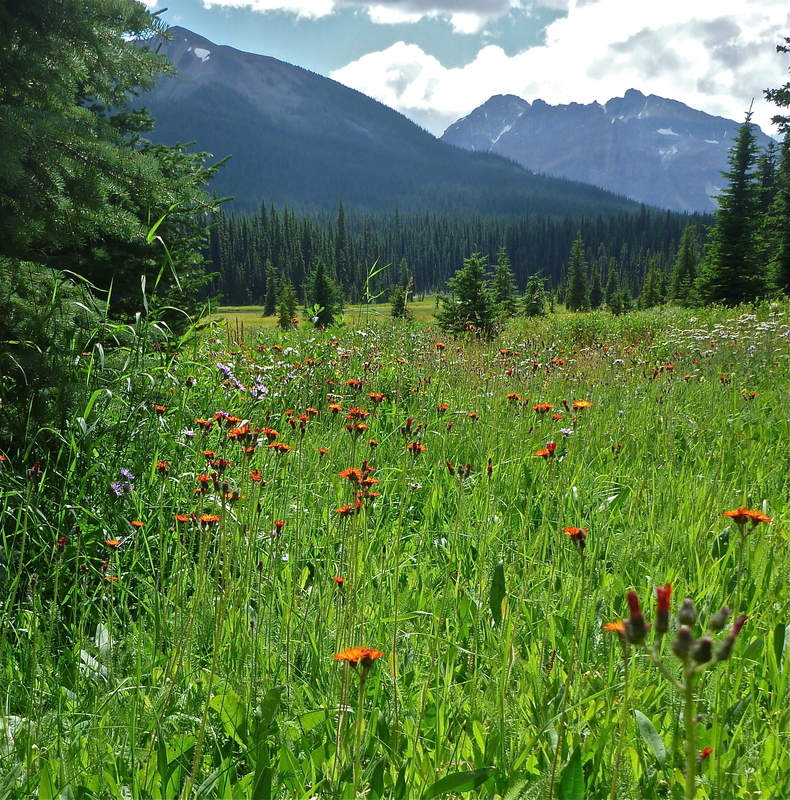 Meadows of wildflowers and gentle streams welcome the hiker, although the broad expanse of summits always looms in the distance. 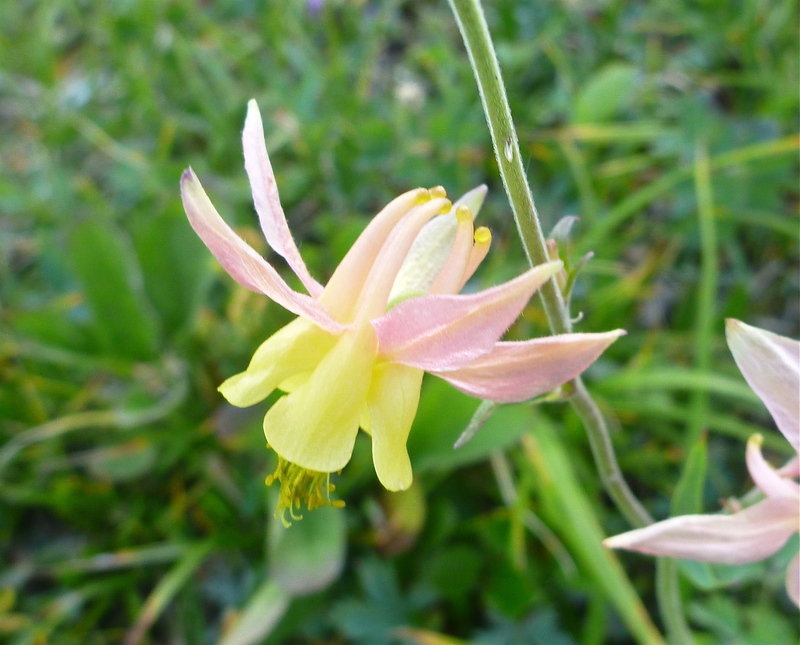 I love wildflowers. My computer contains hundreds of flower photos, and still I take more because each bloom I encounter seems incredibly fresh and new. 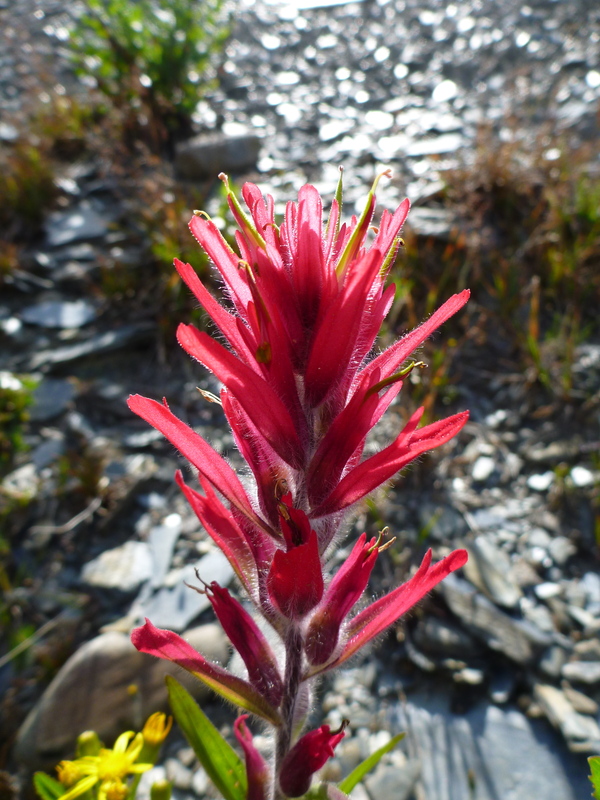 Some, like the paintbrush, are simply too colourful to pass by. 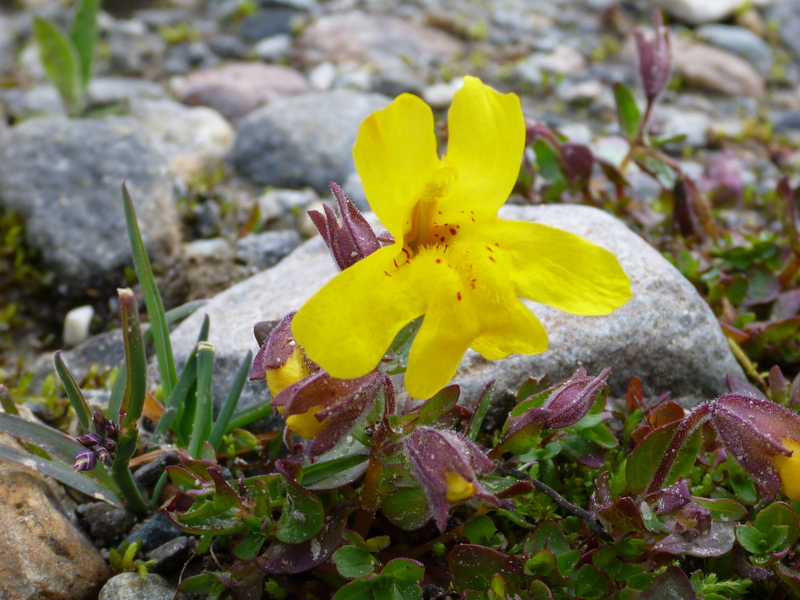 Others, like the monkey flower, are rare in the Rockies, where I usually hike, although fairly common in the Purcells and other Columbia mountains. We tarried by myriad lakes and lunched in high places. Got silly in the snow and even tried some rock climbing. At day’s end, no matter where we were, the helicopter could aways find a place nearby to land. Reluctantly I said goodbye to these magnificent mountains. 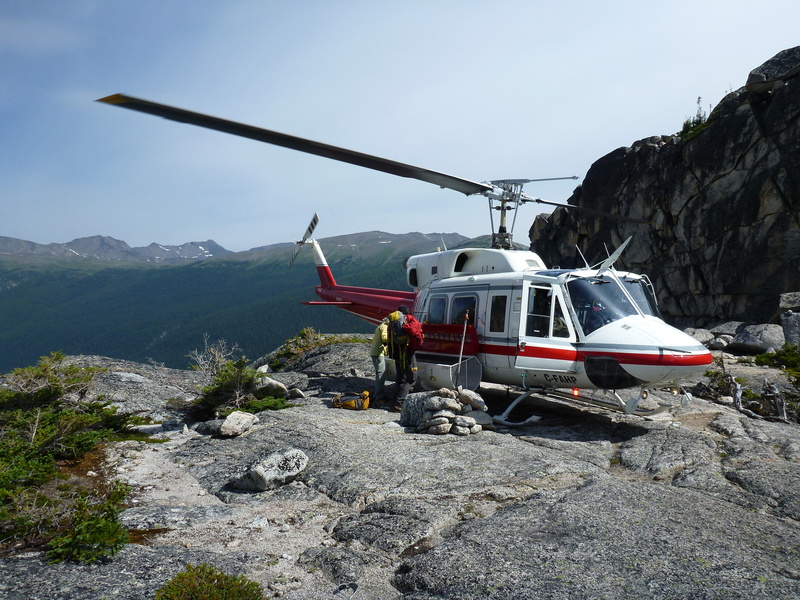 I had spent six days heli-hiking in the Purcells; it was time to move on to my next adventure.